Who doesn't love a list of books? I know I do, so I decided to make my own list. For you! This list is mostly of books that you’ll enjoy reading to children. Children may even enjoy hearing them read, too! In fact, they might enjoy reading them themselves. It is far from exhaustive, as it only contains those that we have actually read to (or listened to with) our kid between the ages of three and nine. I haven't included some that are on everybody's list - because they're already on everyone's list. I had never even heard of some of these until I had kids and sought out good books. It is my goal to prevent this in the lives of other book lovers! As I was compiling my list, I realized it was getting way too long! So, this installment (there will be another!) 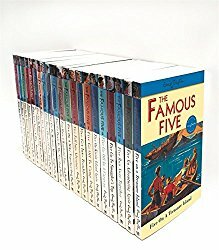 only contains books that come in a series. The list is numbered only to thirteen, but gives you over 120 titles! The great thing about a series is that you don’t have to say goodbye to the characters you have come to know and love when the first book ends. Another benefit is that you can also appreciate the writers’ skill developing through the subsequent stories. A few are, sadly, out of print. But that’s what the library is for, right? This ought to keep you reading for a good long time! Believe it or not, I was a grown up before I knew Little House on the Prairie was a book before it was a TV show! That's the kind of childhood I had. (I was not a voracious reader.) I began reading these to my three-year-old daughter and we both loved them! We have since dated historical figures and events by Laura's life (e.g. "That happened when Laura was ten."). We raced through the books, becoming friends with the Ingalls family and learning so much about the building of our country and it’s westward development. I was so enraptured by the author and the character of her childhood self that I have since read everything I have found written by her! My favorite of these is the collection of her columns for the Missouri Ruralist between 1911 and 1924, titled, Laura Ingalls Wilder: FarmJournalist. I mention it for your enjoyment, though it is not officially on my list. We first meet with the Mitchell family while their father is away, fighting in the war. 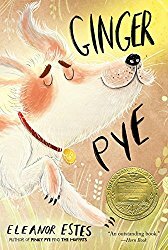 It mostly deals with the children's doings, while the thread running subtly through the story involves the inadvertent acquisition of various pets, contrary to Father's explicit prohibition of their getting a pet while he's away. There is a tenderness shown toward the inner feelings of the various children that truly brings them to life. 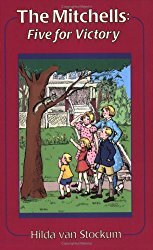 I was not surprised to learn that the author based these stories on her own children. It is a pleasure to follow them as they move to Canada in the next two volumes. Three more books by the same author are set in Ireland. Reading aloud gives you a chance to exercise your best Irish accent! 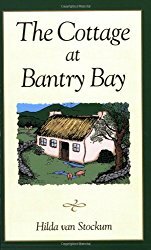 I was so impressed by the author's ability to draw out the depths of personality of the characters and their history of place. Her stories are engaging for children, while not just entertaining for adults, but full of texture and depth. She has written other books as well, but those are still on my "to be read" list. I came to love this sweet family of five daughters. The story is told through their little daily moments, big illness, holidays, lived in pre-World War I New York City. We have only read the first two of the series, so we still have some to look forward to! You'll love this family and enjoy seeing the author's writing about them (based on her family) develop to a beautifully sensitive level. 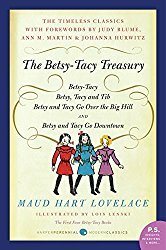 They are adorable, quirky and pull together to help their widowed mother keep the family going. Despite their difficult circumstances, there are more moments of happiness than anguish. Two more stories by Eleanor Estes, these stories take place in the same town where the Moffats live, but feature a different family. 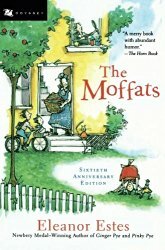 The Moffats make an appearance, but the books have a very different feel. Again, I can not believe I had never heard of these marvelous books! They are set in the early twentieth century. The first four feature two and then three very little girls and the later ones begin when the girls are in high school. They really bring to life a time not really that distant, when the town marveled at the first “horseless carriage” to enter the scene. The author has other books too, so you don’t have to be sad when you finish these lovelies! These peculiar books follow another peculiar family. 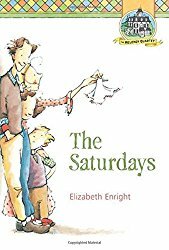 The first book, The Saturdays, details the interesting ways the four children of the Melendy family each spends a Saturday in New York City, when they decide to pool their allowance money each week for the use of just one sibling. Clever and insightful! How is it possible I have never heard anyone mention these books ever before I found one on the shelf in audio book section of the public library?? 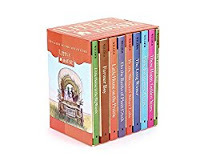 Why are these not as ubiquitous on reading lists as the Little House books and the Chronicles of Narnia? These are some of the funniest, cleverest, vocabulary enriching, snappy dialoguing stories I have encountered. Brooks is like an American P.G. Wodehouse. The stories concern the Bean Farm's animals who are able to talk (to the great discomfort of Farmer Bean). They are not your typical personified animal stories, as they are talking animals functioning within the real world, where they gain some notoriety for this ability. 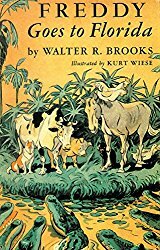 The very first story relates the adventures that hilariously ensue when some of the animals, let by Freddy the Pig, decide to migrate to Florida. I'm not even sure Mr. Brooks intended them for children, but as there is nothing untoward in them and plenty of good writing and humor, I highly endorse them! My nine-year-old may be truly addicted to them! 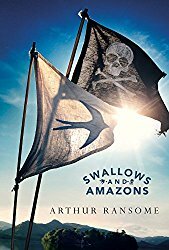 Following the adventures of two families of children, the Swallows and Amazons series is everything that The Famous Five are not! Beautifully written, adventures that could actually take place in the real world England, nice - but natural - children whose parents make a showing and an interest in them. The twelve books are quite long, but enjoyable from beginning to end. They usually involve boating adventures, as that is what brought these children together on their school holidays in the Lake District. We happened upon the audio book in the library and it quickly became one of my daughter’s favorites! And it’s handy, too. 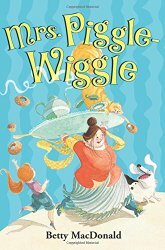 Mrs. Piggle Wiggle is a lovable lady to whom all the children flock. Their parents seek her out to help find “cures” for typical childhood behavioral difficulties. Children love this silliness of these families! In addition to being wholesomely entertaining, it gives you, the parent, an arsenal of humorous examples to toss out to your kid, to mortify them out of a bad attitude! I have been known to mention to my daughter on an occasion of disrespect, “You’re being a bit like Mary O’Toole!! !” Point made, behavior improved! The Redwall series is a little more mature. Redwall is a peaceful abbey. Peaceful until the happy mice are intruded upon by the evil rat and his thugs. 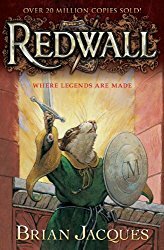 Adventure, prophecy, mystery, battles, virtue, heroes - Redwall is filled with action. You don’t really need kids to enjoy any of these books. If you missed any in your childhood, get yourself to the library and get reading!